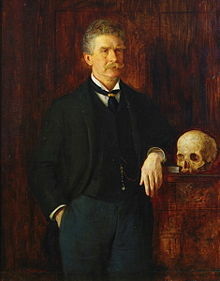 Ambrose Gwinnett Bierce (June 24, 1842 – date of death uncertain; probably December 1913 or early 1914) was an American satirist, critic, short story writer, editor and journalist. He is perhaps most famous for his serialized mock lexicon, The Devil's Dictionary, in which, over the years, he scathed American culture and accepted wisdom by pointing out alternate, more practical definitions for common words. 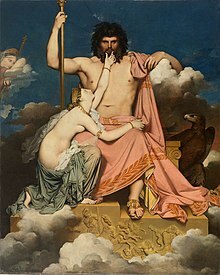 Study Herod, madame, study Herod. When asked about how to rear obnoxious children by an irritating interviewer. A thousand critics shouting: "He's unknown!" The fact that boys are allowed to exist at all is evidence of remarkable Christian forbearance among men--were it not for a mawkish humanitarianism, coupled with imperfect digestive powers, we should devour our young, as Nature intended. Bierce's first published reminiscence of the Civil War, the work is separated into parts demarcated by Roman numerals. I suppose the country lying between Corinth and Pittsburg Landing could boast a few inhabitants other than alligators. What manner of people they were it is impossible to say, inasmuch as the fighting dispersed, or possibly exterminated them; perhaps in merely classing them as non-saurian I shall describe them with sufficient particularity and at the same time avert from myself the natural suspicion attaching to a writer who points out to persons who do not know him the peculiarities of persons whom he does not know. One thing, however, I hope I may without offense affirm of these swamp-dwellers--they were pious. To what deity their veneration was given--whether, like the Egyptians, they worshiped the crocodile, or, like other Americans, adored themselves, I do not presume to guess. But whoever, or whatever, may have been the divinity whose ends they shaped, unto Him, or It, they had builded a temple. This humble edifice, centrally situated in the heart of a solitude, and conveniently accessible to the supersylvan crow, had been christened Shiloh Chapel, whence the name of the battle. Amnesty, n. The state’s magnaminity to those offenders whom it would be too expensive to punish. Clairvoyant, n.: A person, commonly a woman, who has the power of seeing that which is invisible to her patron, namely, that he is a blockhead. Dawn, n. The time when men of reason go to bed. Certain old men prefer to rise at about that time, taking a cold bath and a long walk with an empty stomach, and otherwise mortifying the flesh. Electricity, n. The cause of all natural phenomena not known to be caused by something else. It is the same thing as lightning, and its famous attempt to strike Dr. Franklin is one of the most picturesque incidents in that great and good man's career. Gallows, n. A stage for the performance of miracle plays, in which the leading actor is translated to heaven. Incompossible, adj. Unable to exist if something else exists. Two things are incompossible when the world of being has scope enough for one of them, but not enough for both — as Walt Whitman's poetry and God's mercy to man. Infancy, n. The period of our lives when, according to Wordsworth, 'Heaven lies about us.' 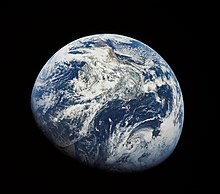 The world begins lying about us pretty soon afterward. In'ards, n. pl. The stomach, heart, soul, and other bowels. Kilt, n. A costume sometimes worn by Scotchmen [sic] in America and Americans in Scotland. Labor, n. One of the processes by which A acquires property of B.
Laughter, n. An interior convulsion, producing a distortion of the features and accompanied by inarticulate noises. It is infectious and, though intermittent, incurable. Liberty, n. The distinction between freedom and liberty is not accurately known; naturalists have never been able to find a living specimen of either. Logic, n. The art of thinking and reasoning in strict accordance with the limitations and incapacities of the human misunderstanding. Opposition, n. In politics the party that prevents the Government from running amok by hamstringing it. Past, n. That part of Eternity with some small fraction of which we have a slight and regrettable acquaintance. A moving line called the Present parts it from an imaginary period known as the Future. These two grand divisions of Eternity, of which the one is continually effacing the other, are entirely unlike. The one is dark with sorrow and disappointment, the other bright with prosperity and joy. The Past is the region of sobs, the Future is the realm of song. In the one crouches Memory, clad in sackcloth and ashes, mumbling penitential prayer; in the sunshine of the other Hope flies with a free wing, beckoning to temples of success and bowers of ease. Yet the Past is the Future of yesterday, the Future is the Past of to-morrow. They are one--the knowledge and the dream. Resign, v. To renounce an honor for an advantage. To renounce an advantage for a greater advantage. Virtues, n. pl. Certain abstentions. Vote, v. The instrument and symbol of a freeman's power to make a fool of himself and a wreck of his country. Witch, n. (1) An ugly and repulsive old woman, in a wicked league with the devil. (2) A beautiful and attractive young woman, in wickedness a league beyond the devil. Page numbers refer to The Collected Works of Ambrose Bierce, Vol. 8 (1911), § "Epigrams" (p. 343 ff.). Individual epigrams first appeared elsewhere. p. 349. Previously appeared in "Small Contributions", Cosmopolitan, Vol. 42, No. 6 (April 1907) p. 695. "There's no free will," says the philosopher; "To hang is most unjust." The virtues chose Modesty to be their queen. "I did not know that I was a virtue," she said. "Why did you not choose Innocence?" "Because of her ignorance," they replied. "She knows nothing but that she is a virtue." The poor man's price of admittance to the favor of the rich is his self-respect. Age, with his eyes in the back of his head, thinks it wisdom to see the bogs through which he has floundered. Wisdom is known only by contrasting it with folly; by shadow only we perceive that all visible objects are not flat. Yet Philanthropos would abolish evil! While you have a future do not live too much in contemplation of your past: unless you are content to walk backward the mirror is a poor guide.